SENS Research Foundation has been formed with the highest regard to best practice in governance. The following individuals have joined the SRF Board to lend their vision and guidance to our mission. Michael is the founder and Head of Investment Strategy of Sage Technologies, an investment fund established in 2015 with Harald McPike. He also serves as science and technology advisor for The McPike Zima Charitable Foundation. Prior to Sage, Michael had been running a series of entrepreneurial start-ups across a wide variety of business categories. He holds a Master’s in Business Administration with first class honors and a Bachelor of Computer Science. Jonathan Cain is a co-founder of the 20 Under 20 Thiel Fellowship, which identifies and nurtures the tech visionaries of tomorrow. He serves as a principal at Thiel Capital and sits on the boards of the SENS Research Foundation and the Seasteading Institute, which works to further the long-term growth of the seasteading movement. Before joining the Thiel Foundation and Thiel Capital, Jonathan served as speechwriter to the Secretary of Health and Human Services. He lives with his wife, Robyn, in San Francisco. Kevin has over 15 years experience driving technology innovation in start-ups, large companies and the federal government. He has held leadership roles in all aspects of entrepreneurship including fundraising, product development, software engineering, business development/sales, and strategic marketing/brand development. He is founder and CEO of ManyWheels, a start-up in the automotive logistics space funded by the National Science Foundation. As a strategic venture capitalist Kevin helped make over $20M of venture investments into 25 technology startups that serve the federal market. Kevin founded Soapbox.com, a start-up subsidiary company he incubated in The Motley Fool, building the consumer online marketplace from the ground-up after securing $2m in funding. At NASD, Kevin developed the business plans to commercialize the company’s regulatory applications and lead a 35-person, worldwide engineering team that regulates the NASDAQ Stock Market. He began his career as an engineer and project manager with the US Coast Guard and DMW Worldwide, a start-up telecom software company. Kevin has a BS in Electrical Engineering from the US Coast Guard Academy, where he was the top graduate in his class, and an MS in EE from Stanford University. He is also a former board member of the New Media Society, and panel reviewer for investments by the National Science Foundation. Mr. Kope received his J.D. from the University of Michigan in 1990. He has served as the University of Michigan’s Intellectual Property Counsel; as Director of Corporate Development for Aviron, and for MedImmune, Inc.; and as CEO and officer of a number of start-ups in the biotechnology space. He specializes in business development and consulting, and is widely experienced with biotechnology organizations. 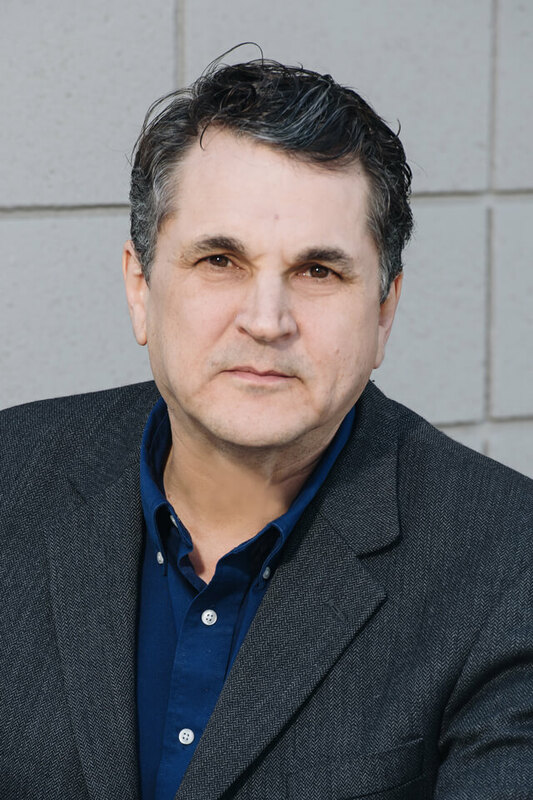 Mike has negotiated a broad range of business acquisition and partnership agreements, designed strategies for technology protection and promotion in many fields of research, and facilitated a number of successful startups. Bill Liao, entrepreneur, philanthropist, diplomat, speaker and author, is a co-founder of the social network service XING and CEO of Finaxis AG, a privately held company in the financial services industry. Bill is a special diplomatic envoy for St. Kitts and Nevis, with a special interest in sustainable development and the environment. He is also founder and co-ordinator of Neo.org, a global citizenship initiative, and WeForest.com, which will reforest twenty million square kilometres of stripped land. Bill is dedicated to the vision that business and enterprise, conducted fairly and with respect for the environment, can and will create a better environment for work, life and the world that we all share. This vision is captured in his book: Stone Soup; a Secret Recipe for Making Something from Nothing. Barbara is the CEO of the LifeStar Institute, formed to catalyze a global collaboration to prevent age-related diseases within a radically compressed timeframe. In the mid-1980s, she was President and COO of ComputerLand Corporation, then the world’s largest retailer of personal computers, with over 800 stores in 26 countries. An entrepreneur, she and her husband have been producers of children’s audio recordings, as well as proprietors of a popular restaurant in Boise, Idaho. She is currently co-owner of Calypso Building Logistics, Inc., a Florida-based builder. Jim is a life sciences and technology investor who has advised and supported more than sixty companies. He serves as managing director of global investment firm Mithril Capital Management. Before Mithril, while running the Thiel Foundation, Jim helped launch companies and careers in science and technology by co-founding the Thiel Fellowship and Breakout Labs. Previously, he helped lead the U.S. Department of Health and Human Services as the principal associate deputy secretary. Kevin Perrott is the owner of Riverside Honda, the largest Honda recreational vehicle dealership in Canada. After twenty years of management he became a cancer survivor and shifted direction to academics to develop methods of curing cancer and other age-related diseases. He graduated from the University of Alberta in 2006 at the age of 43 with a double major in Biology and Chemistry. He then entered the PhD program and after completing two years studying the role of mitochondria in the process of aging in the nematode C. elegans, he shifted focus to the importance of the phenomenon of mammalian cellular senescence and its role in degenerative disease. Kevin is a consultant for the Biomedical Engineering Research and Results Initiative (BERRI) at the University of Alberta pursuing the construction of collaborations to accelerate the development of therapies able to restore function in aged individuals. In 2005, he became COO and a Board Member of the Methuselah Foundation, and Executive Director of the Methuselah Mouse Prize. He is also the Founder and CEO of AgeNet (Aging Research Network), a charity sponsoring research to maintain and restore function lost to degenerative disease. In the fall of 2008, AgeNet helped in founding the LifeStar Institute, a U.S. charity dedicated to raising awareness of the economic and social impact of of global aging, as well as founding SENS Research Foundation. Mr. Perrott continues to support the advance of aging research as the VP of the American Aging Association and through his research at the Buck Institute for Research on Aging. Frank is Managing Director of Kizoo Technology Capital. He founded the Venture Capital business Kizoo with Michael Greve and Matthias Hornberger, and since then helped numerous startups to grow. Among other board level assignments he is COO of the Forever Healthy Foundation, co-founder of the Undoing Aging conference series and on the executive board of Atevia AG, a public company for 16 years. Before he was a strategy consultant with PriceWaterhouseCoopers. Frank is M.Sc. (New York) and Dipl.-Wirtsch.-Ing. from Karlsruhe Institute of Technology (KIT), Germany. He lives in Karlsruhe with his wife and two children.